This week everything changes. To read this book from the beginning, go here. 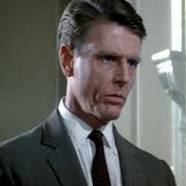 My idea of Commodore Michel is actor Edward Fox. Within a few hours, everything changed, but not in quite the way Darrow had hoped. He was convinced that the Intruders were a real threat, and an expedition should be sent to gather information and locate them. What he had wanted was to provoke the investigation into action. When Admiral Keever called him, action had indeed been provoked. Without any formalities, Keever got down to business as soon as Darrow switched on the screen. Darrow was thrown for a second, then his mind locked on to something the admiral said. 'So we now have the means to follow them.’ Darrow felt vindicated. Darrow's spirits sank. Commodore Michel, who had rejected his claims, was now aware that Darrow had gone over his head, and Admiral Keever had dumped it back on him. Darrow didn't relish the next time he had to speak to his commanding officer, he hoped he'd have time to forget this incident. Darrow's wish didn't come true, as Michel called him only an hour later. Darrow sat there stunned. This was not what he had in mind at all. He couldn't believe Commodore Michel would disregard so many regulations. It made him feel very uncomfortable. The Admiral had put the Commodore in a difficult position, and he was passing it on. The door chimed and Holland came in at his call. 'Unfortunately, yes,' Darrow said, waving him to a seat.